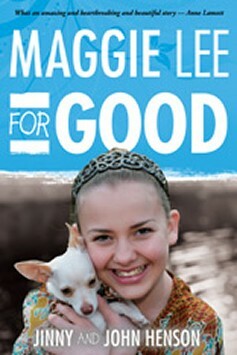 Maggie Lee for Good - Cracked the Amazon TOP 50 in Christian Living in the first week! "This is a brave and honest book, both heartbreaking and hopeful. Jinny and John Henson have shared their story with the world as an affirmation of their faith, but also as an act of great kindness and generosity. This is a book for everyone-those who have suffered great loss as well as those who have not- it is a reminder of the difference each of us can make in the lives of others. 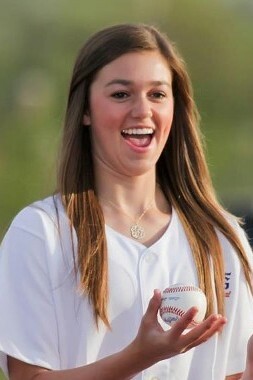 Once you have met Maggie Lee Henson through the eyes of her parentsand feel the imnpact of her life, you will never forget her." - Lampton Enochs Moonbot Studios, Home of Award-Winning "The Fabulous Flying Books of Morris Lessmore"
"Anyone looking for meaning in the face of tragedy will treasure Maggie Lee for Good"
"Jinny Henson is my friend. Her quick wit and talent is just the formula to make her a great comedian. And then horrific tragedy struck her life. I watched her tread through the waters of deep grief - the place mothers fear most in this world. Jinny and John have allowed us to peer into the most intimate places in their hearts-their pain. We can all see that crying and laughing are tenderly linked and that God can amazingly use both to draw us closer and closer to Him. Thank you for taking us along." "Maggie Lee for Good proves that even from the darkest places something positive can emerge, and that we can lose something we love even more than our own life and somehow find a way to keep living." "This is a brave, faithful and generous book about a precious and loving girl, , the pain of her passing, and the grace and redemption inspired by her faithful life."